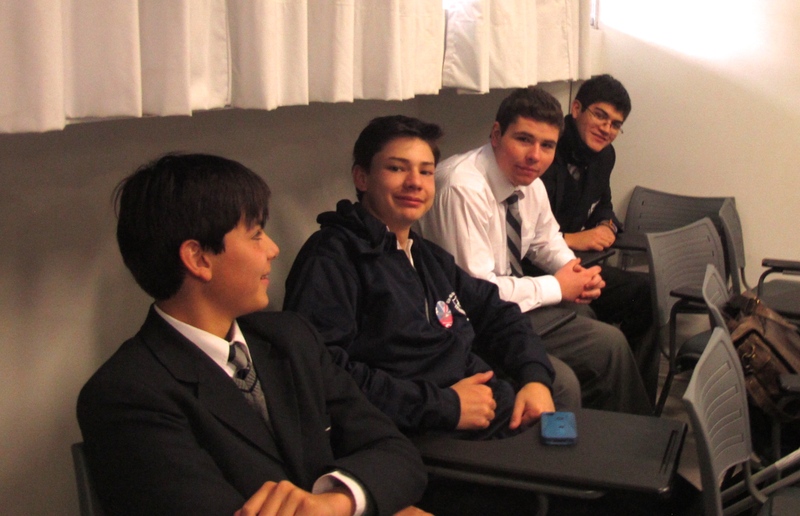 Home › Debate › Mackay Debate Team takes 4th place in UNAB tournament. Sir Carey named best captain. Mackay Debate Team takes 4th place in UNAB tournament. Sir Carey named best captain. 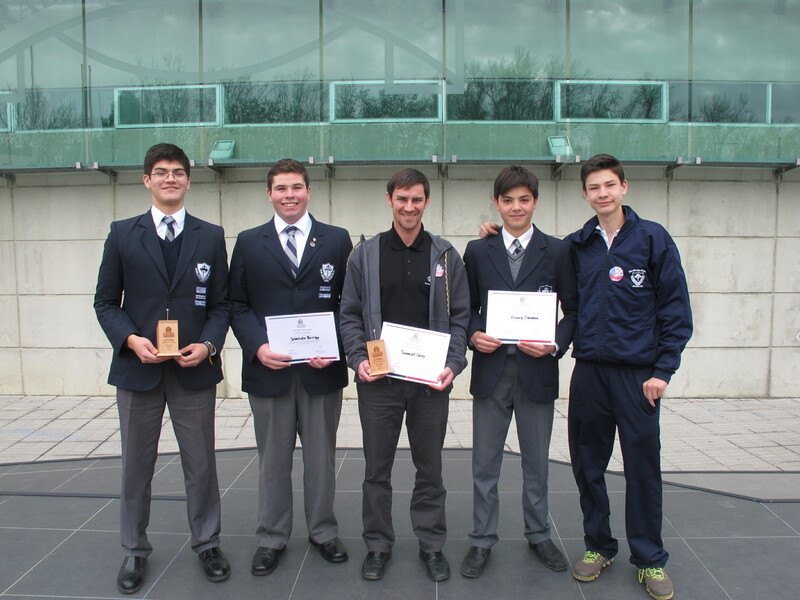 The 6th annual UNAB tournament came to a close last weekend in Las Condes with all kinds of thrills and emotions. 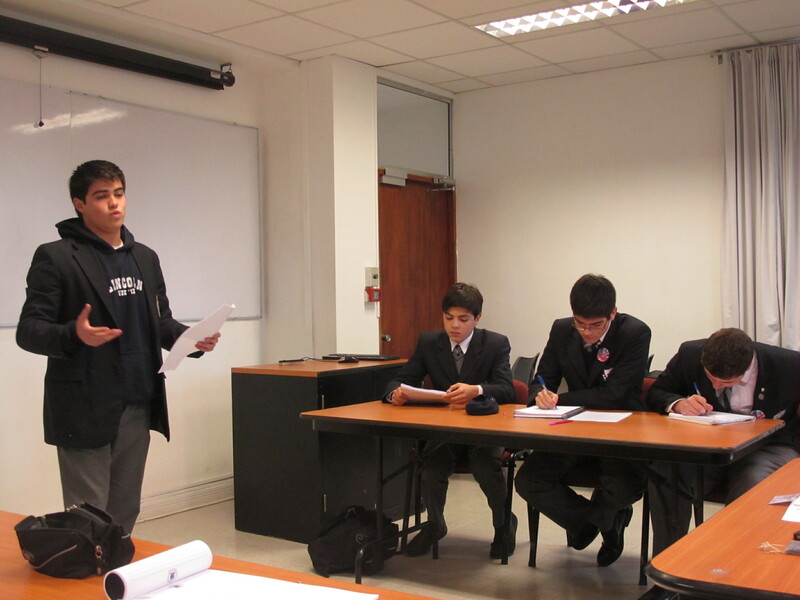 The Mackay team squared off against Lincoln Academy, and the motion was THB government policies have influenced Mapuche violence. 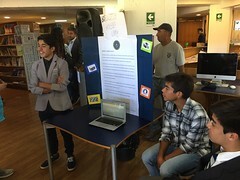 Mackay students presented an excellent case, providing examples of historical land use policies that have caused anger and frustration in the Mapuche people, and they linked that to some of the recent violent attacks on industries, etc. The problem in this debate was that the opposition side,(Lincoln) claimed that what happened in the past is not debatable, therefore policies the government is conducting now in order to help the Mapuche are much more relevant in this debate. 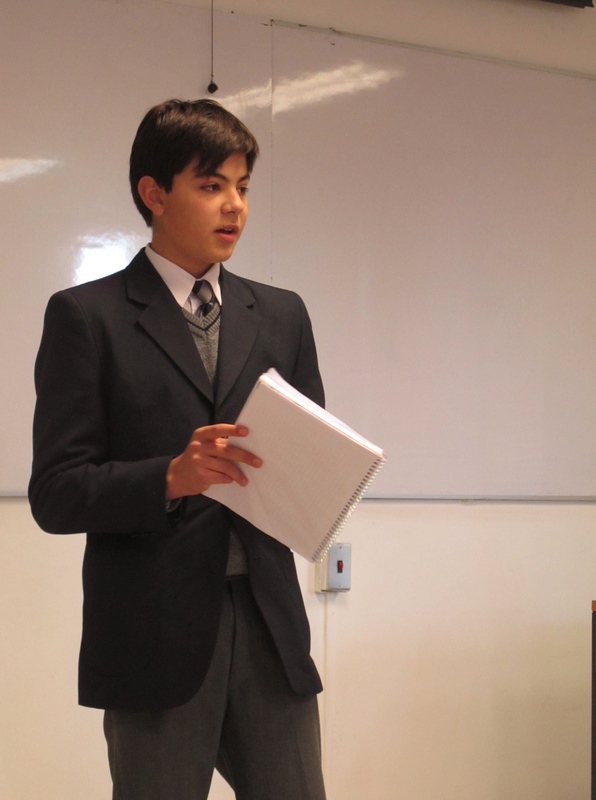 According to the motion, Mackay really should have won because they proved that indeed policies, whether past or present, ¨have influenced¨ the violence, however Lincoln presented a stronger case with strategic style, marked by young Borja Bernasconi whose debate skills are nothing short of flawless. The Mackay students waited in the lobby glumly after their hard fought loss to find out who they would face in the third place round. Meanwhile, the Villa Maria team was being handed – what they thought – was a totally unjust loss to Nido de Aguilas, who were as much surprised to be given the win as Villa Maria was frustrated to be given the loss. Villa Maria appeared to be leaving the contest altogether out of spite until they were brought back by their teacher. 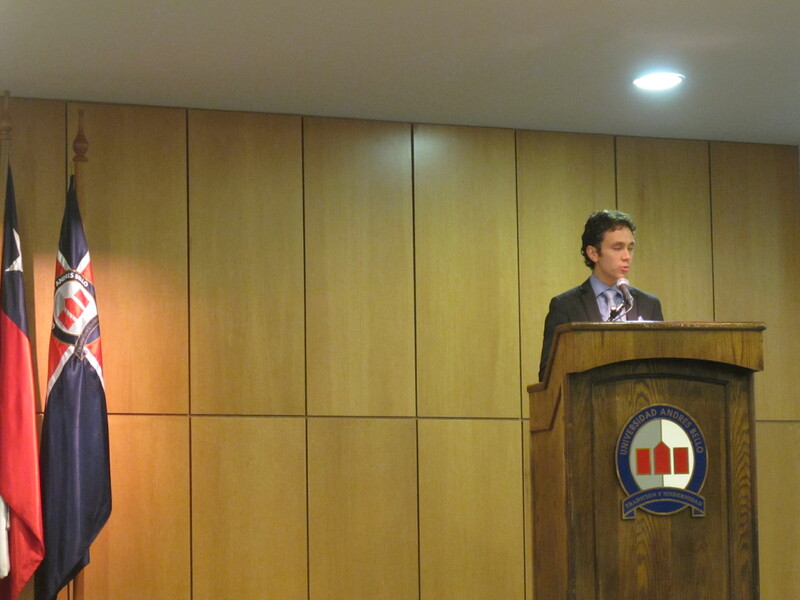 At that point, Mackay and Villa Maria were to start the third place debate. 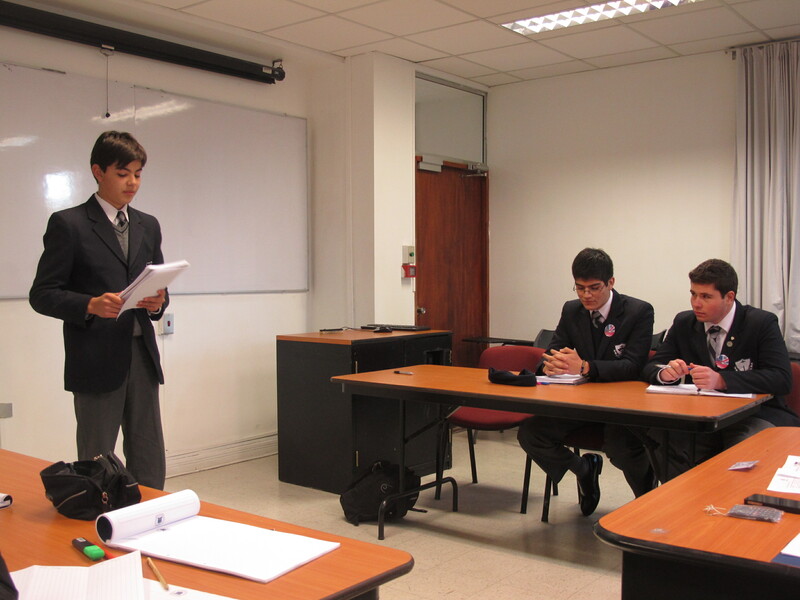 Upon entering the preparation room, Mackay students claimed that they were still feeling unmotivated after their loss to Lincoln, exhausted for having to leave VIña at 6am, not really interested in competing in the third place debate and very much wanting to watch the finals debate happening at the same time. 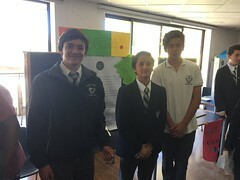 For all those reasons, and the fact that Villa Maria was not exactly in the mood for a second debate either, the third place debate was cancelled and the third place prize was awarded to Villa Maria for having won more points than Mackay in the semi-finals. 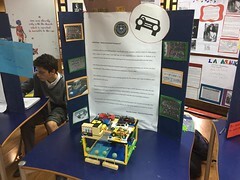 The Mackay team was very well received by both finalist teams to be present in the audience for the final, which was THB random drug testing should be mandatory in schools. 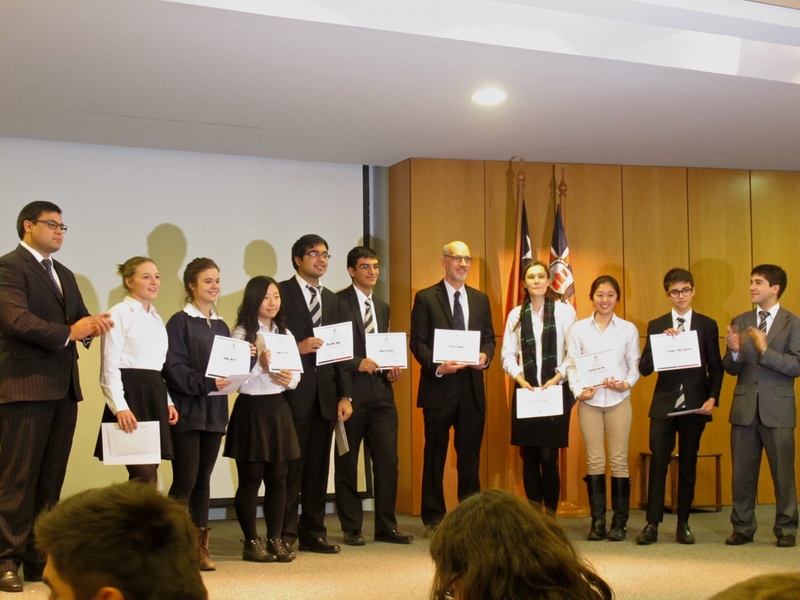 After hearing great points being made by both sides, in the end Lincoln Academy were crowned champions of the 6th annual UNAB English Debate tournament, and Bernasconi won best speaker of the tournament. 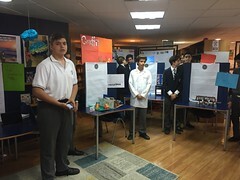 In the closing ceremonies, Mackay competitors Sebastian Barriga, Joaquin Oporto and Vicente Carmona seemed content in the end to accept their fourth place prize – clear evidence of hard work and a solid effort throughout the tournament. 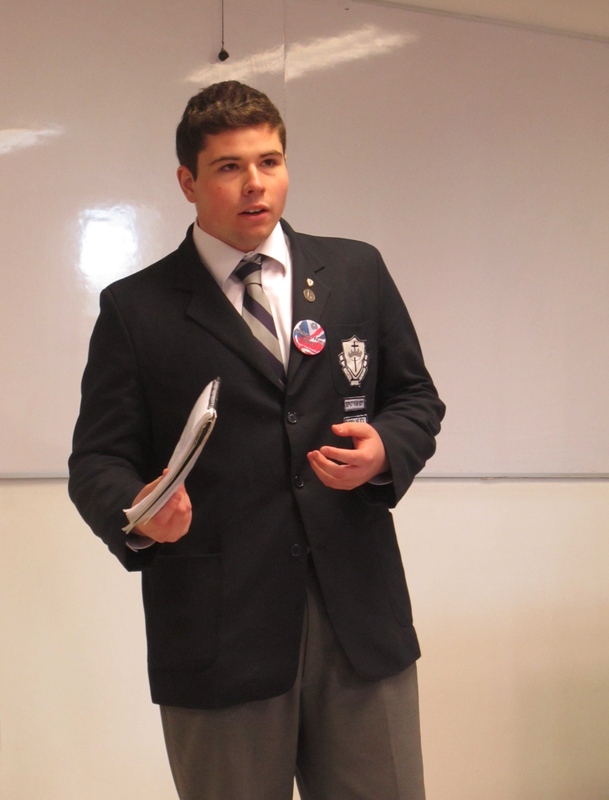 The biggest surprise of the day was that Mackay´s Debate team coach Sam Carey was awarded with the ¨Best Captian¨ prize for the entire tournament. Carey was practically shocked to hear his name called, and arrived to the stage ecstatically and more than happy to pick up his prize. The Mackay team has had far less experience in debate competition than the other schools they were up against, and Sir Carey is only in his second year coaching debate. Nevertheless, the team has improved greatly since last year. But apart from that, the boys believe Carey won best captain for his constant positive interaction and good sportsmanship amongst other coaches, students, judges and organizers of the event. ¨It´s because he talks to everybody,¨ claimed Vicente Carmona. The truth is fair play goes a long way. Representing as first speaker, newcomer 1st medio student Vicente Carmona was a great addition to the team, offering clear, logical, well-thought-out and well-presented arguments in his rookie year on the team. He will have a lot to offer for the Mackay debate team in the future. 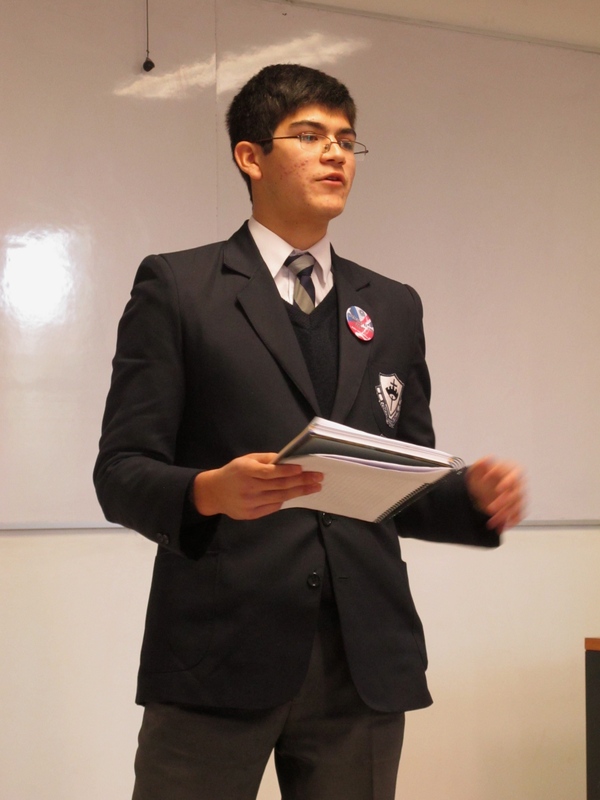 Sebastian Barriga charismatically put together one his best speeches as speaker 2 of side proposition. 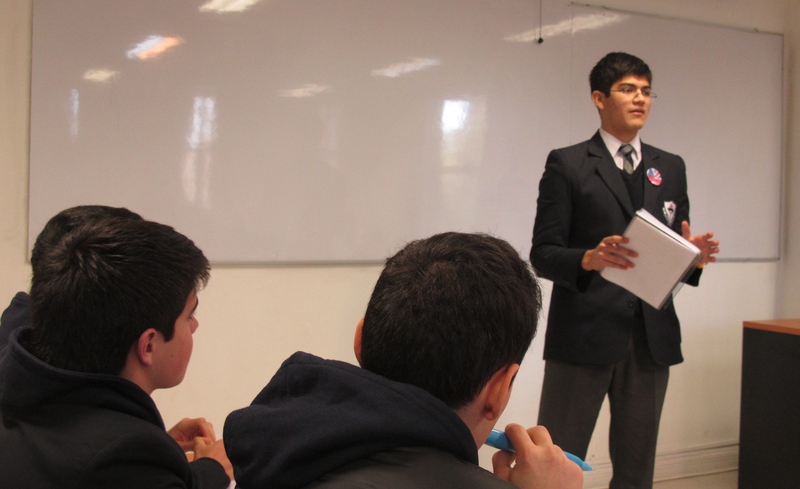 Joaquin Oporto showed his years of experience in debate and english competitions to effectively solidify proposition side´s case as Speaker 3. 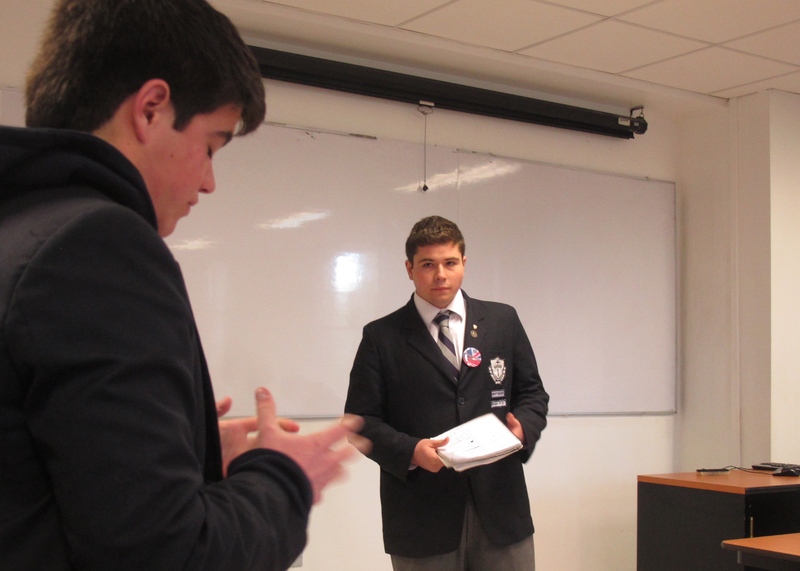 However, Mackay´s efforts could´t match the effective style and strategy of Lincoln´s Borja Bernasconi, who not only won tournament best speaker, but is also claimed to have won best speaker in the Panamerican debate tournament as well. The young man clearly has a future in politics, law or lobbying. 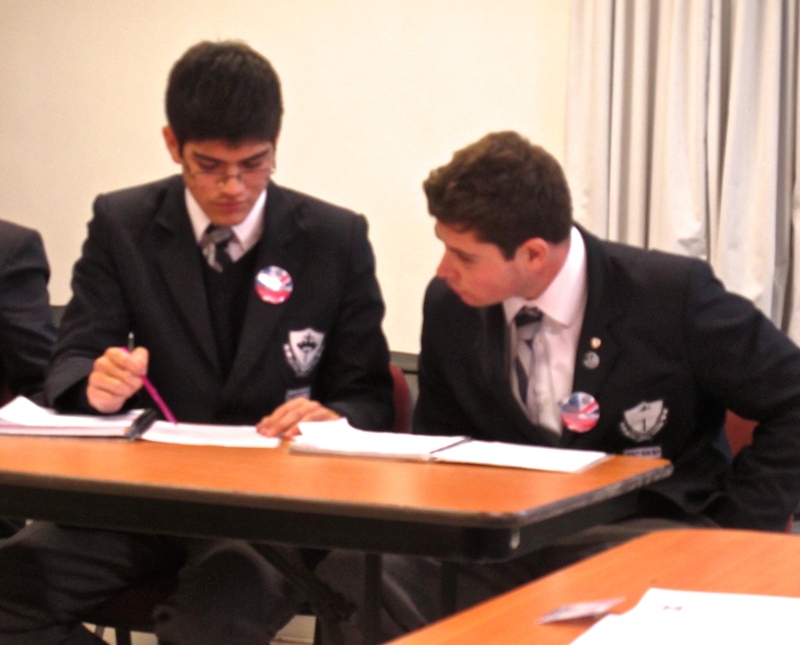 Mackay students Sebastian Barriga and Joaquin Oporto exchange notes in the hard fought loss against Lincoln. 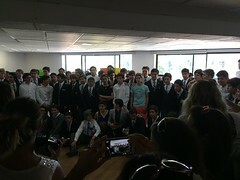 Mackay received a warm welcome as invited members to watch the final debate (instead of competing in undesirable third place debate with a disheartened Villa Maria team). Mackay team spirits were higher knowing at the very least they were able to settle for the fourth place trophy and gift cards. 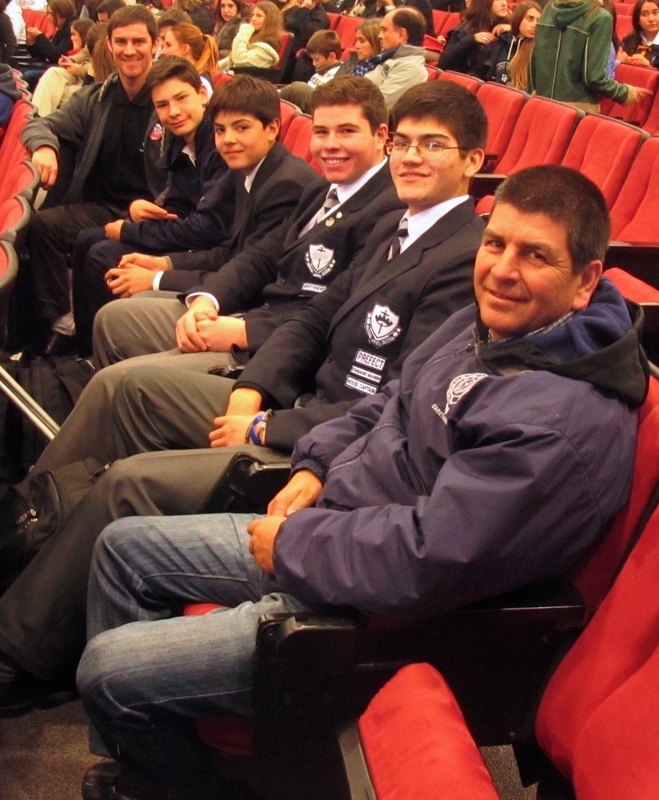 Driver Mr. Martinez accompanied the team at the ceremonies. Lincoln Academy students were enthused about the win! 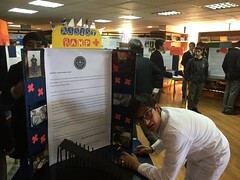 Colegio Nido de Aguilas de Lo Barnechea was definitely the most internationally represented team in the tournament with a solid team of students from several countries all over the world! The tournament lasted six weeks, and although Mackay had a mix of students attending throughout, they never missed a single Saturday morning. Mr. Martinez and Mr. Carey were present at all six dates as driver and coach respectively. 4th place team and best captain of the 2014 UNAB English Debate tournament.